- CELLITE sandwich panel monocoque chassis with a steel box section rear sub-frame. - Aprilia RXV 550cc, twin cylinder engine with lightweight and high flow intake design. - Fully adjustable Launch and Traction Control System. Utilizes Control-Area-Network for maximum reliability and minimum wires. - A pullrod front, and pushrod rear setup. 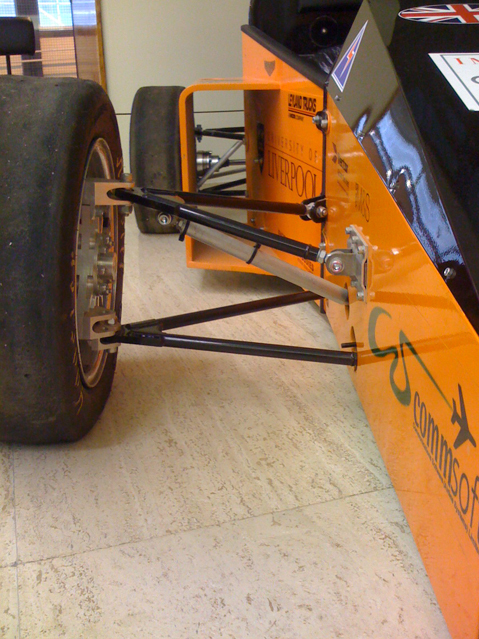 A coil over shock system comprising of Fox Racing shocks will be used. - Aluminium uprights with competition 10" wheels. 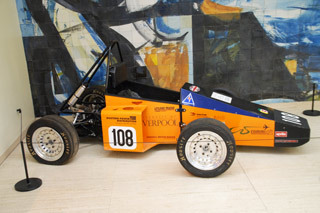 - Failed to pass technical and safety Scrutineering and therefore did not compete in any dynamic events.